The quarterly increase was not spectacular — 0.3 points to 42.7 per cent on a detached bungalow and 0.4 points to 48.4 per cent on a standard two-storey home. The index on a condo was unchanged at 27.9 per cent. As with past samplings, Vancouver and Toronto continue to stand out as the least affordable cities. During the second quarter, Vancouver’s affordability reading rose 2.2 points to 82.1 on a detached bungalow, while Toronto’s edged up half a point to 54.5. 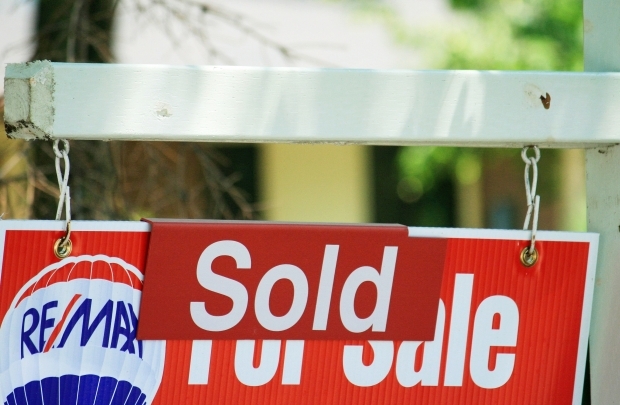 OTTAWA – Homes were selling at a brisk pace in Vancouver and Toronto last month, while the national average price continued to rise, suggesting Canada’s real estate industry has returned to “average levels” after a decline that began last summer. Recovering home sales and stable prices are causing some analysts to declare that the housing market will avoid a hard landing. But the market has yet to face its biggest tests – higher mortgage rates and the completion of many planned condo units, largely in Toronto, that are currently just space in the sky. Housing prices in Canada have been relatively flat so far this year but there’s a “downside risk” going forward, particularly in the country’s largest city, according to a Scotiabank report issued Friday. Toronto’s housing market is correcting in the wake of affordability pressures, inventory build, changes to mortgage insurance rules and more cautious lending policies,” writes Scotiabank economist Adrienne Warren. It said a tight supply of single-family homes in the area has supported overall home price averages. It also notes that, while there’s a lag, prices tend to fall after sales drop off and the supply of unsold properties rises. TORONTO — Housing prices in Canada have been relatively flat so far this year but there’s a “downside risk” going forward, according to a Scotiabank report. Real-estate activity slowed in the Toronto area in March, but home prices continued to climb, defying — at least for now — views that this hot housing market is flaming out. Average selling prices rose 3.8%, to 519,879 Canadian dollars ($512,700), in March from a year earlier, the Toronto Real Estate Board said in a report Wednesday. Average home prices for the first quarter, meanwhile, climbed 3.2% year-over-year. Royal LePage said among 16 major markets in Canada, the country’s largest real estate company found that prices for all three major types of housing increased year-over-year and quarter-over-quarter in 13 markets; meanwhile Vancouver, Victoria, and Saint John, N.B., saw price declines in all housing types. Royal LePage CEO Phil Soper acknowledges that there are some housing watchers who are anticipating big price declines in the Canadian market. But he says his firm hasn’t seen that happen yet, and doesn’t expect to. You are currently browsing the archives for the Residential – Toronto category.